We are working together with Abalimi to build an Eco Dome community centre at their Moya we Khaya Peace Garden in Khayelitsha(below). 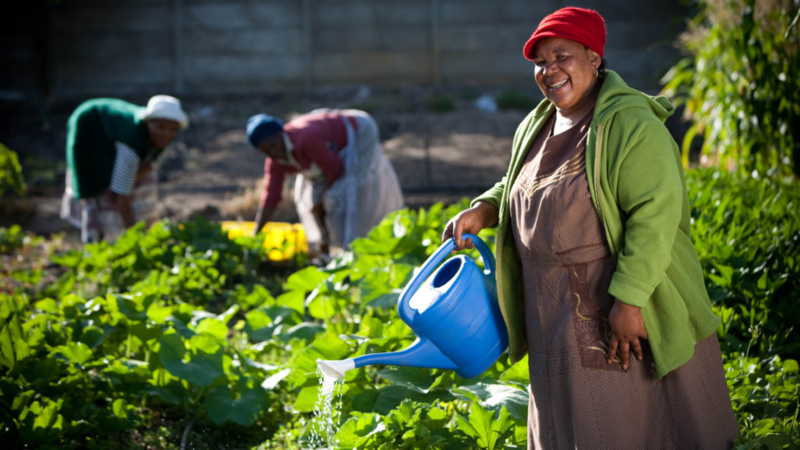 Abalimi provides support (teaching, infrastructure, and funding) to individuals and community groups to develop their own organic vegetable gardens in order to supplement their diet, improve household food and nutritional security and provide sustainable additional income. 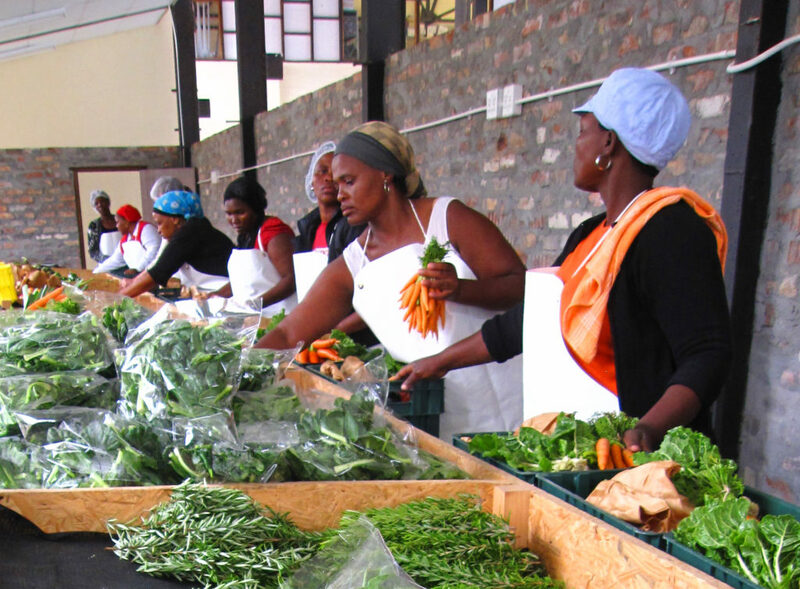 Fresh, local produce grown by Abalimi microfarmers can be bought in weekly CSA (community supported agriculture) boxes, packed and distributed by Harvest of Hope (below). 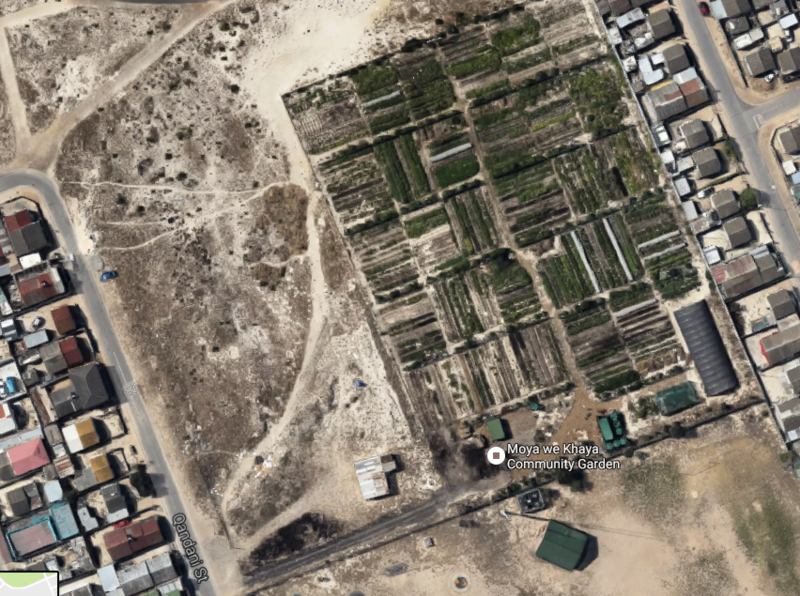 Abalimi is combating poverty by growing food sustainably, using organic methods, at home and in community gardens and, secondly, to plant water wise indigenous trees and flora in schools and streets, in order to transform the dune-sands of the Cape Flats into a sustainable water-wise urban environment. We are supporting this project by building three geodesic greenhouse domes , a community center and a 2 bedroom eco dome home for the local community that have the confidence to initiate, replicate and sustain food growing and greening activities locally, regionally and nationally. They also recognise these actions as an entry point to other development activities that can improve their lives. By forming grassroots associations and networks they will actively seek out and lobby for resources and support, which will strengthen their self-help initiatives in both their rural and urban homes.